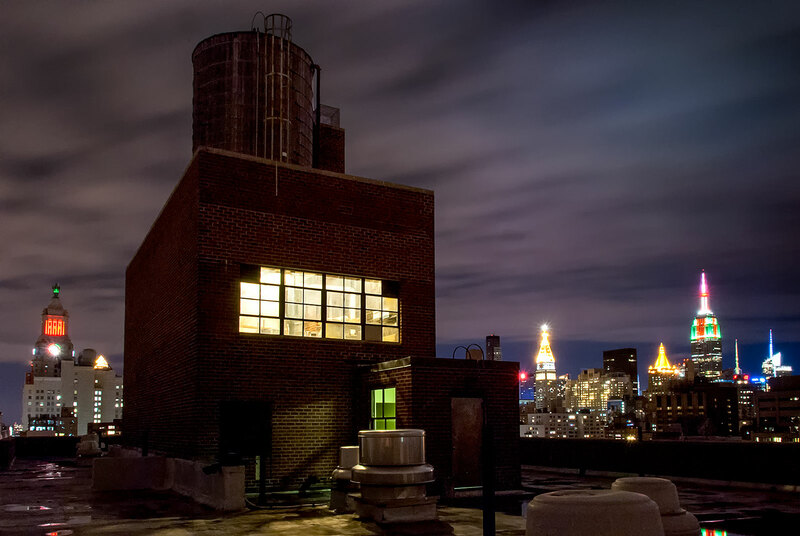 East Village rooftop at night. Can you name all the lit buildings you see? You'll find many more peculiar locations (not this one though) in my book "Point of View New York City", and all of them are a) clearly guessable and b) publicly accessible at no coast. SO that's rewarding for your guessing game if you go out and get your own view of the same location in the city so nice they they named twice - New York, NY.